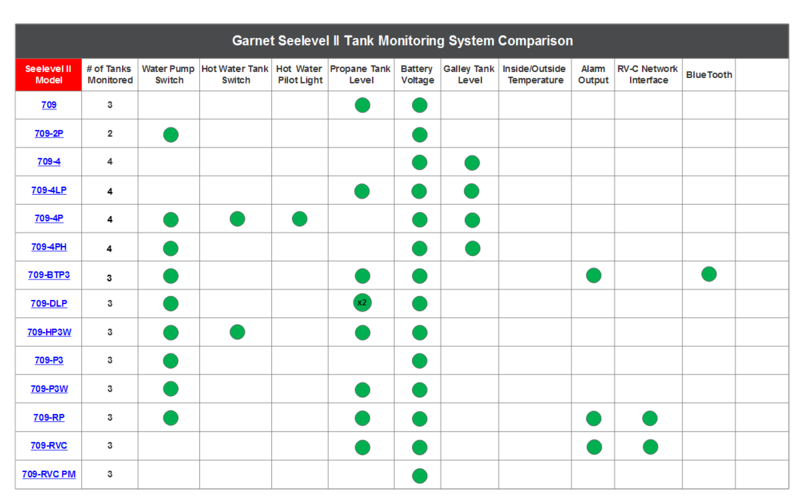 The SeeLeveL II RV Tank Monitor series is available in many different configurations to meet most any motorhome, fifth wheel or travel trailer tank configuration. Each system provides tank level information using a percentage of full readout. Detailed diagnostic information is available through the system monitor. Depending on your needs models will measure up to 4 holding tanks, propane, battery voltage and temperature. Other features are available to activate your pump, engage your water heater, interface with RV-C or sound an alarm. The latest model has Bluetooth technology which allows you to view the levels on your mobile device. See comparison information below to choose the right system for your RV.